The official theme for the Assam tableau for Republic Day Parade in New Delhi on January 26 is ‘Manchester of the East’ – Sualkuchi. The Ministry of Defence has approved it on Monday. The tableau will present the hard work and dedication of the local weavers at the national level. Assam was to display Mahatma Gandhi’s visit to Sualkuchi in the year 1946 – which is often referred to as the ‘Manchester of the East’. According to information, thetableauhas been selected for participation on the theme ‘Peace Within’. The selection of tableaus for the Republic Day tableaux parade is a long process which involves various stages of elimination. An expert committee is formed for selecting the tableaus of the participating States. After selection, the Union Ministry ofDefencemay ask for various kind of modifications, if necessary. 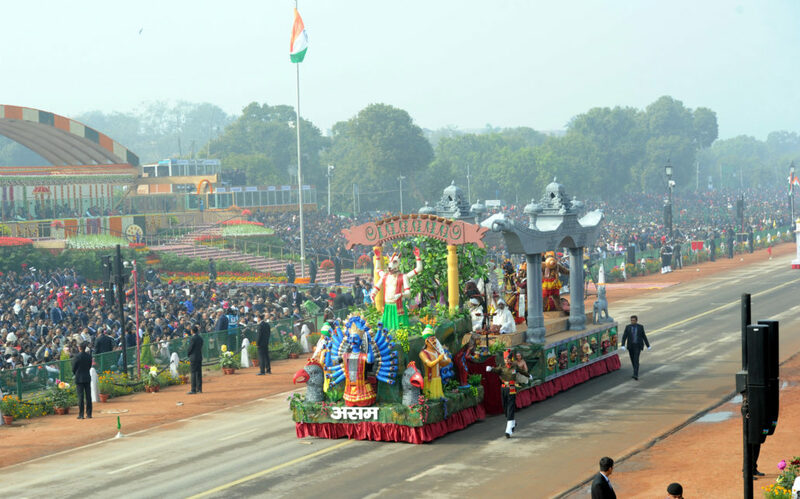 For the Republic Day tableaux parade 2019, only 14 tableaus of 14 States have been selected out of 32 participating States.